If you ever wondered how those huge panoramic photos are created then perhaps this blog might interest you. 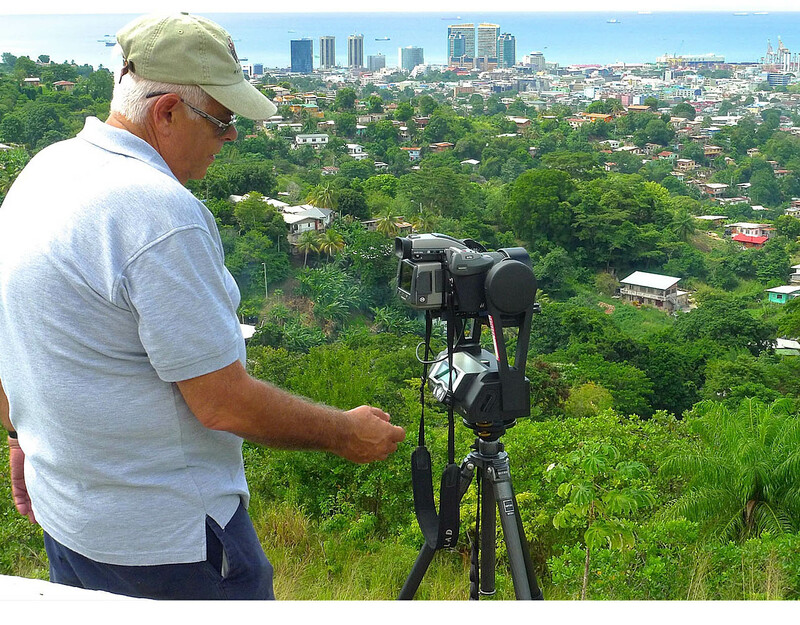 I had been planning to do a series of panoramas in Trinidad so I set out on a Saturday morning with my Hasselblad H4D/50 MP and my GigaPan Pro. Peter Lorber first introduced me to the GigaPan Pro at the Sedona Workshop that I attended. The GigaPan Pro is a robot-like gadget designed specifically for photographing panoramas. 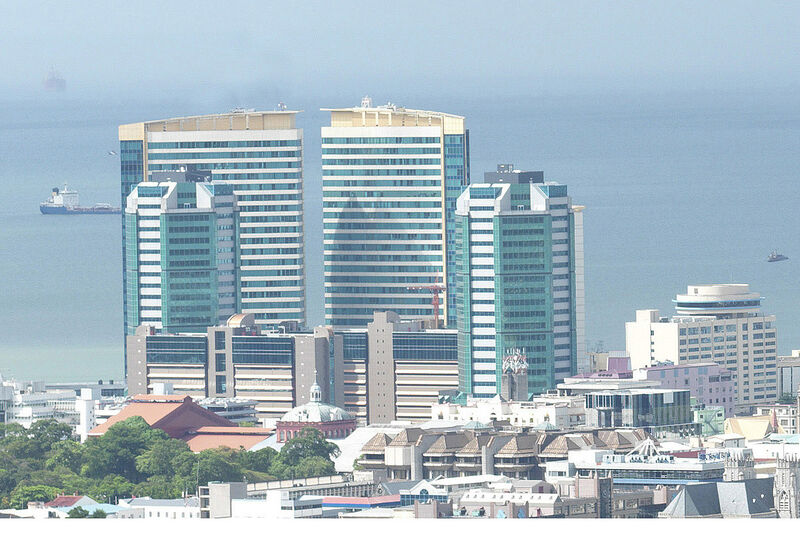 I decided to use a HC 2.2/100 mm lens since its angle of view would result in an optimum number of images for a panorama at the distance we were from the city. The weather in November tends to change very quickly and this Saturday did not disappoint. Fortunately I pack a plastic bag and so when it started to drizzle I whipped out the green plastic and covered up the camera all perched on the tripod. A heavy downpour ensued and I had to take refuge in my car where I was able to view the camera with plastic covering fluttering in the breeze in my rear view mirror. Eventually the rain passed and I continued taking panoramas, catching the rain band as it moved over the city. Each panorama was six to nine images in a single row that are stitched together using PTGui software to produce a single panorama. The cropped image from a small potion of the panorama will demonstrate the high resolution that the 50 MP back delivers. I managed to pull a reasonably nice 25.4×139.49 mm print on my Epson 4900 [which I am pleased to say is now working really well again].